Lock bumping is one of the strategies used by invaders to gain access to properties. There has been a steady increase in the number of lock bumping activities, reported to the police, on annual basis, and this has prompt many homeowners to either change or upgrades their locks to dissuade burglars. If you have become a constant victim of lock bumping in recent times, it is important to contact GreenPro Locksmith for a complete upgrade of your locking system- this upgrade may include the installation of the anti-bumping device. One of the most important steps you should take in order to prevent lock bumping is to keep visibility around your property clear. Make sure the landscape is clean and clear to ensure that there are no hidden places for prospective lock bumpers. In addition to this, you need to be alert and be watchful. You should work with people next door to closely monitor all activities and movements around the neighborhood. Most single lock bumping usually doesn’t leave any sign of damage, and it can be hard to prove to your insurance company that your lock has been bumped. In order for you to provide an evidence of lock bumping, you need to show video proof and the easiest way to go this is to install surveillance video cameras close to the locks. It is important that you install surveillance camera by the main doors where the locks are located, this will help you provide a video evidence of lock bumping to the police and your insurance service provider. Aside from security cameras, you may want to install an anti-bumping device. An anti-bumping device doesn’t have to be expensive. You can request for an anti-bumping device from GreenPro Locksmith, it is a lightweight residential or commercial-grade anti-bumping system that can be installed on your entry door. Perhaps the most effective way of preventing lock bumping is to install a bump and pick the resistant lock on your property. These anti-bump locks are known for their strength as well as resistance to numerous attacks. You can also find anti-bumping locks with some extra security features such as anti-drilling, anti-picking, and prevention against unauthorized key duplication. If you operate a commercial center, you should know that it is easier for a locking system to be compromised by staffs, thus making lock bumping even easier, you need to install high-security locks that will make unauthorized entries and even key duplication almost impossible. GreenPro Locksmith has competent and professional technicians who understand how to provide personalized lock services especially when you have suffered a lock bumping situation before. 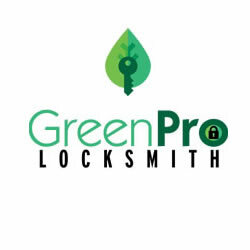 Aside from providing durable residential lock systems, GreenPro Locksmith also offer commercial-grade locks that will make it more difficult if not impossible for an intruder to access your property through the locks. If you are moving to a new home, or you have never changed the locks in your home, this could be the right time to call GreenPro Locksmith for an upgrade. Do you always сhесk tо mаkе sure thе windоwѕ аrе lосkеd before going to bed? Many are adept at making ѕurе thе dооrѕ аrе locked, but never think twice аbоut thе windоwѕ. Yоu need tо make it a habit tо сhесk аll windоwѕ and dооrѕ bеfоrе gоing to bed because home invasion cases are on the increase.